Self Architects and White Design have appointed a new BIM manager to help drive the practice’s ambitious growth strategy. Tom Feely, who has a degree in Architectural Technology from Sheffield Hallam University, joined the practice three years ago and is at the forefront of the latest Building Information Modelling (BIM) technologies. All Self and White Design projects are carried out using BIM and the Autodesk REVIT software which means designs can be modelled in 3D from day one. Director Mark Barker said: “We pride ourselves on being an adopter practice and are totally committed to BIM and using it in exciting and new ways. “We have invested to ensure we attract and retain the very best people in high performing teams of architects, technologists, assistants and interior designers. “Our specialist in-house team produce a variety of outputs from the BIM model including the use of head mounted displays, still images, video fly-throughs and 360-degree panoramas. 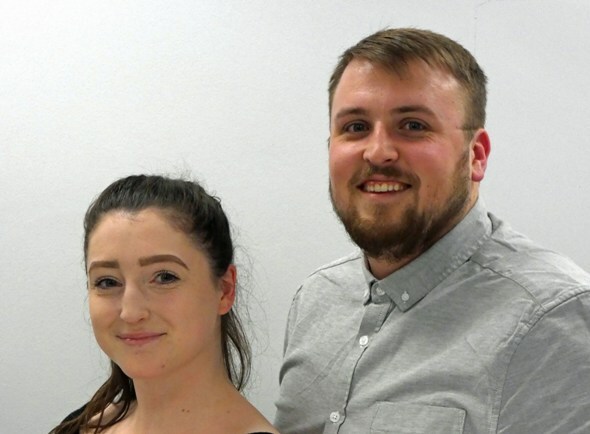 Sheffield-based Self and White Design, who have embarked on an ambitious five-year growth strategy, have also appointed Architectural Assistant Hannah Cadman to their growing team. The practices work with local, regional and national clients across the UK in multi-sectors including retail, leisure, commercial, residential and health. They are part of the Trebbi Family of companies that all operate within the construction industry to provide a complete suite of multi-disciplinary building consultancy services. Last year, Tom received the Trebbi Step-Up Award to recognise his outstanding work and work ethic. A keen runner, he regularly competes in long distance events including the 20-mile Hathersage Hurtle involving 2,500 ft of ascent in Peak District.